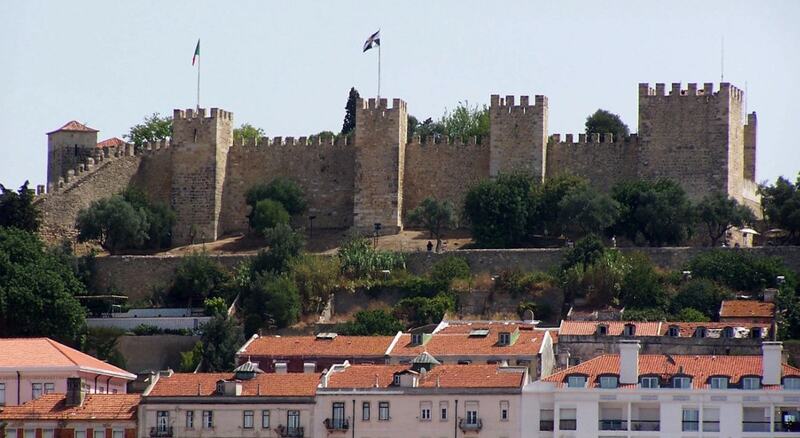 Sao Jorge Castle is a Moorish castle occupying a commanding hilltop overlooking the historic centre of the Portuguese city of Lisbon and Tagus River. The strongly fortified citadel dates from medieval period of Portuguese history, and is one of the main tourist sites of Lisbon. The first fortifications were built by Muslim Berber forces during the 10th century. In the context of the Christian Reconquista, the castle and the city of Lisbon were freed from Moorish rule in 1147 by Afonso Henriques and northern European knights in the Siege of Lisbon during the Second Crusade; this victory was the only notable success of that failed crusade. When Lisbon became the capital of the kingdom in 1255, the castle served as the alcacova, a fortified residence for Afonso III, in his role as governor. It was extensively renovated around 1300 by King Denis I, transforming the Moorish alcacova into the Royal Palace of the Alcacova.